Since we have been suffering through comments and photos of our owners making great use of their boats while we sit in the office, we thought we might subject you to the same torment. 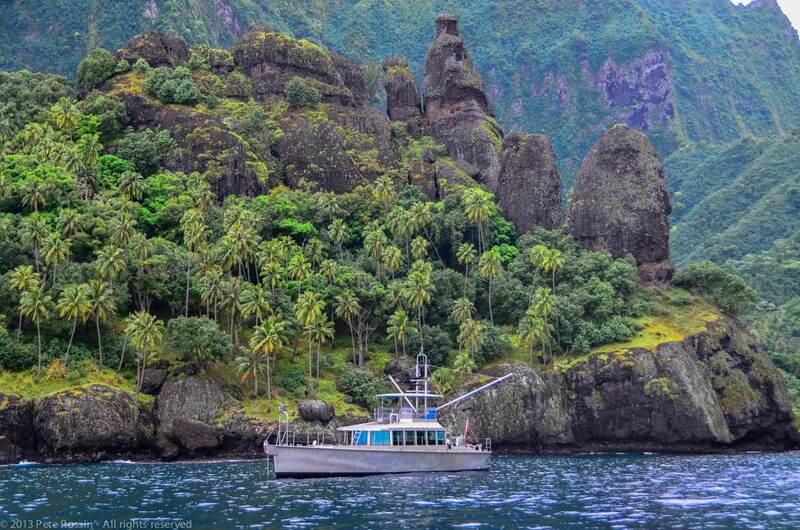 Pete and Deb Rossin, with FPB 64-3 Iron Lady, sent us the above photo from Hanavave Baie on Fatu Hiva in the Marquesas Islands, the most beautiful tropical anchorage in the world. 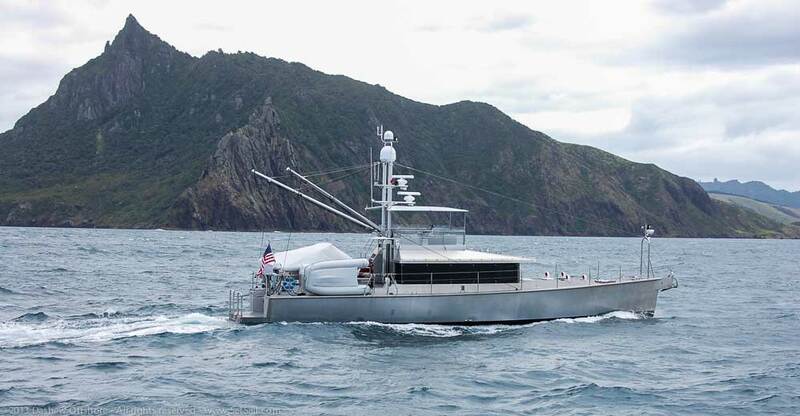 Iron Lady now has over 14,000 nautical miles under her keel in her first two years, including a circumnavigation of New Zealand (she is shown anchored at Stewart Island above). This season Iron Lady has made the 2200 mile hop from New Zealand to Tahiti, explored the Society, Tuamotu, and now Marquesas Islands. 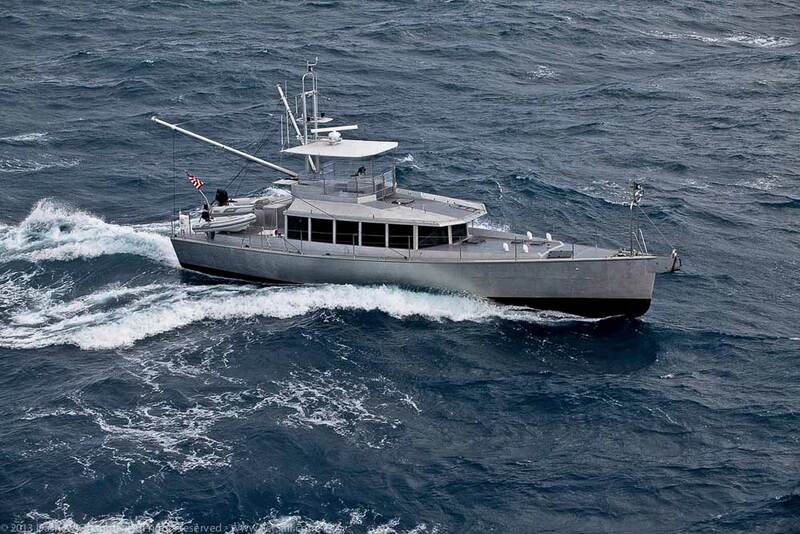 She will shortly depart for the Line Islands on her way to Hawaii and the Pacific Northwest. To see more of the Rossins’ adventures visit their website by clicking here. and then had a calm passage to Savu Savu, Fiji, averaging 10.5 knots in the process. 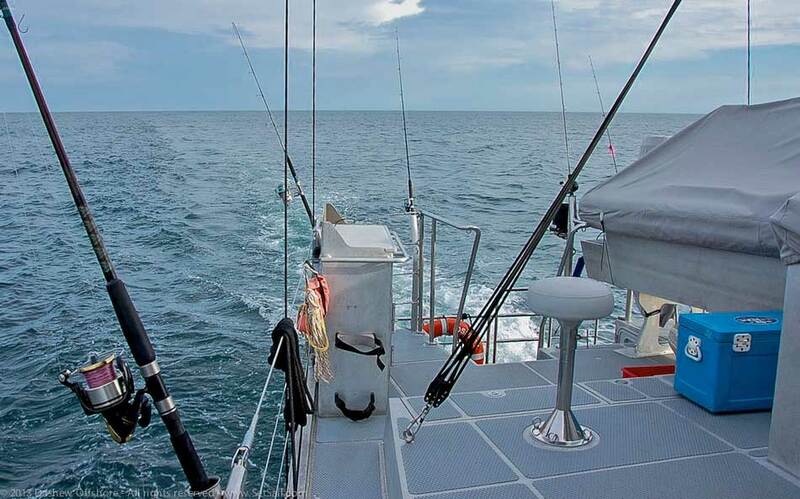 Tiger now has 7,000 nautical miles under her keel since launching a year ago. 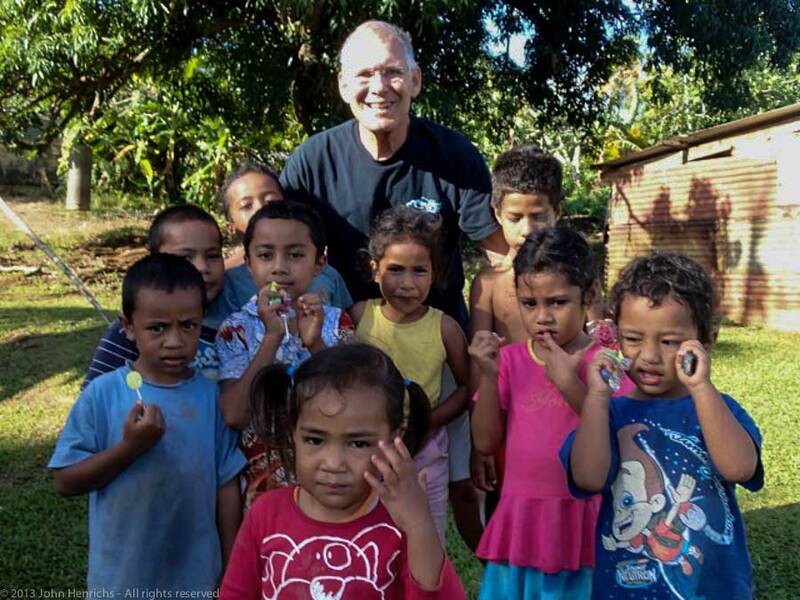 The Henrichs are going to spend the rest of the winter season in Fiji, then head back to New Zealand. 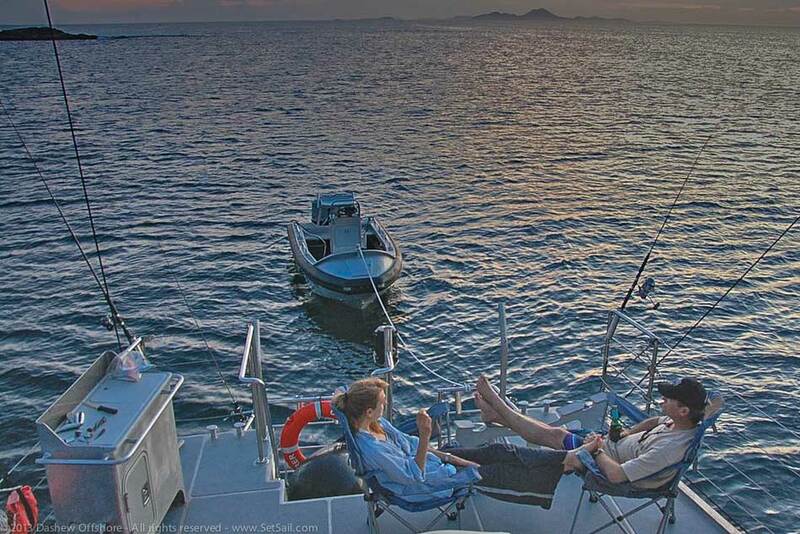 Valerie and Stan Creighton aboard FPB 64-7 Buffalo Nickel are enjoying their first season of cruising in Fiji. 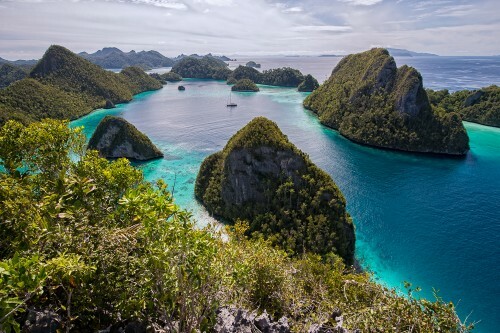 Present plans are to return to New Zealand for the Southern Hemisphere summer, and then further explore the tropical South Pacific next season. Val and Stan’s website is here. The Parkers reckon that more than 19,000 nautical miles have passed under Avatar’s keel since she was launched three years ago. 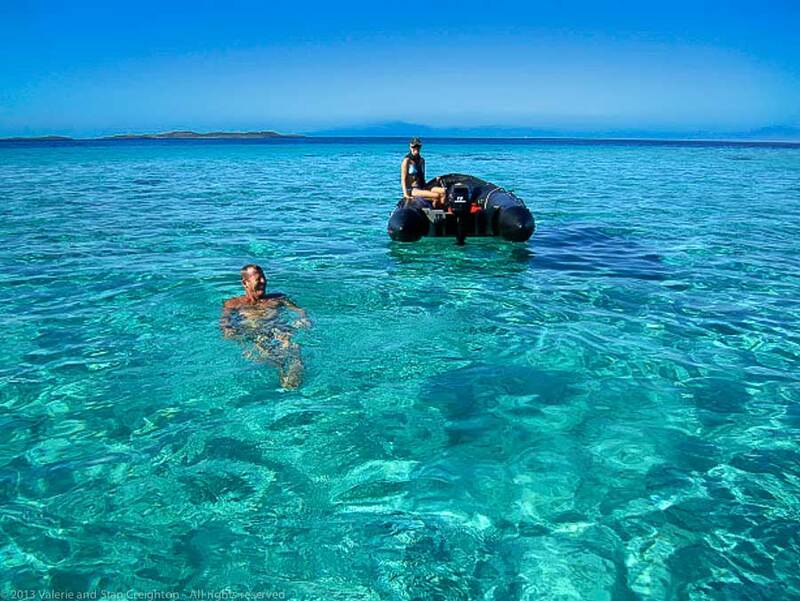 Their cruising focus is on SCUBA diving and photography. Carol Parker is a gifted photographer and you can see some of her work here. 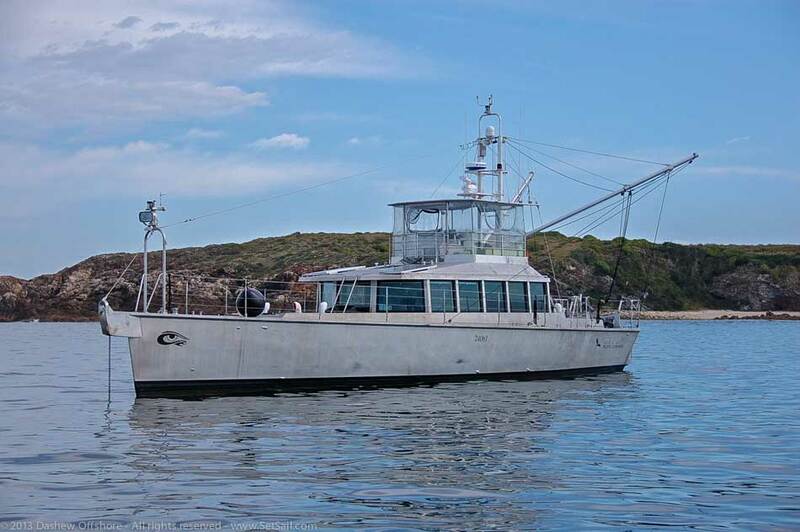 Sue and Bill Henry have kept their FPB 64-2 Sarah Sarah busy since she was first launched three years ago. 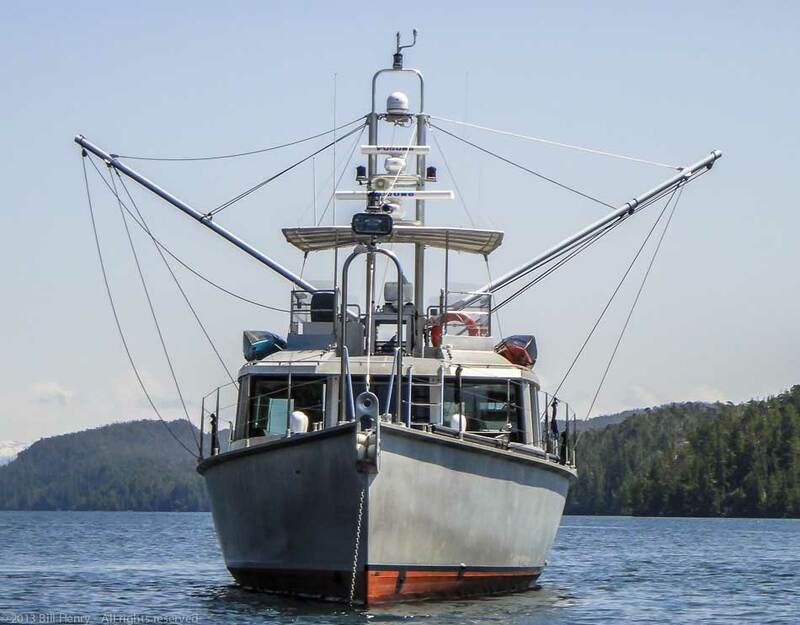 Soon after sea trials were completed, Sarah Sarah made a quick 6569 nautical mile return passage from Opua, New Zealand to Neah Bay, Washington in the US Pacific Northwest. 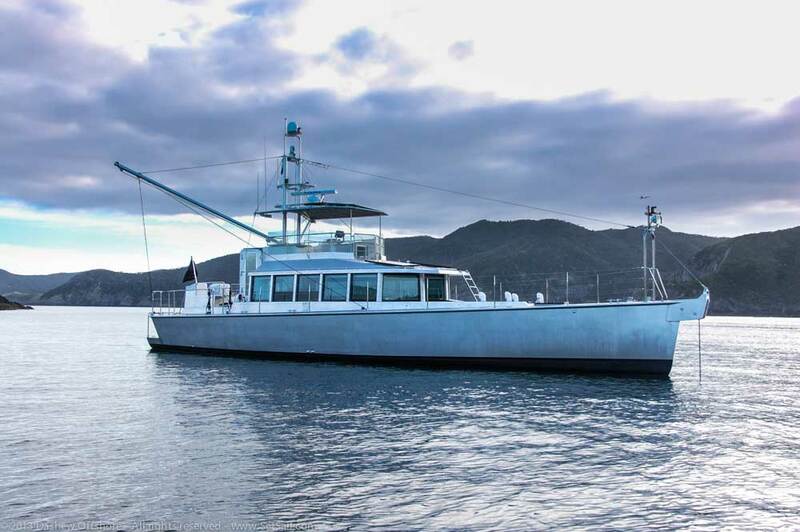 Sue and Bill have been exploring the unlimited cruising options in their own back yard for the past few years . 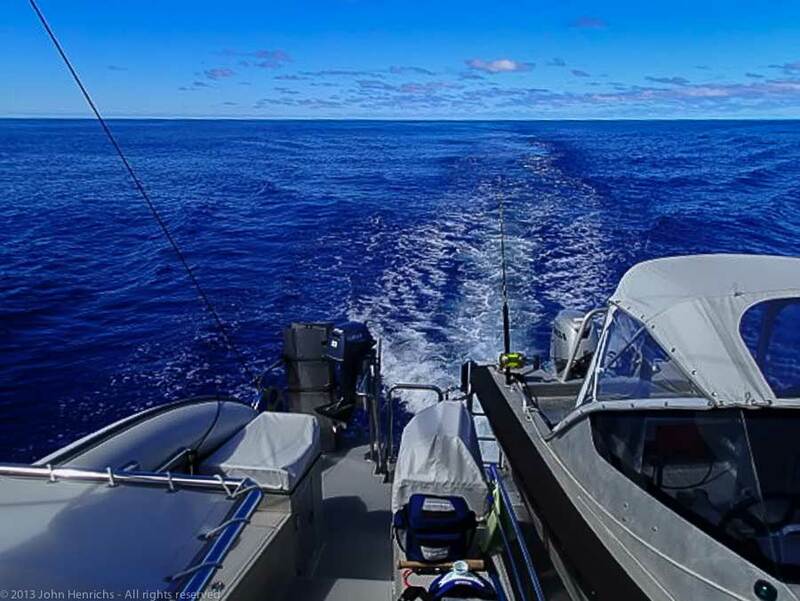 Liza and Mike Dicks completed a 2700 nautical mile shakedown cruise to New Caledonia for their first season aboard FPB 64-6 Grey Wolf. They brought Grey Wolf back to Whangarei, New Zealand, so Mike could return to work. 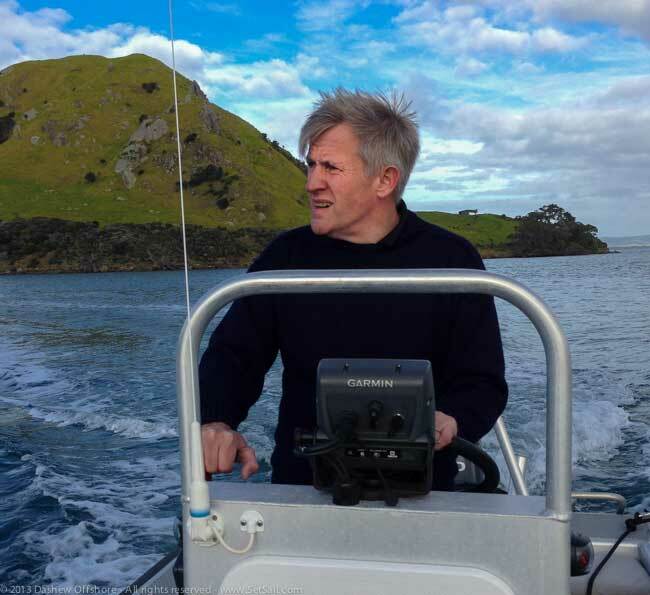 In an unexpected turn of events Grey Wolf has changed owners, and Peter Watson (shown above in his Circa dink) is getting to know FPB 64-6 while he waits on delivery of FPB 78-2 a few years hence. 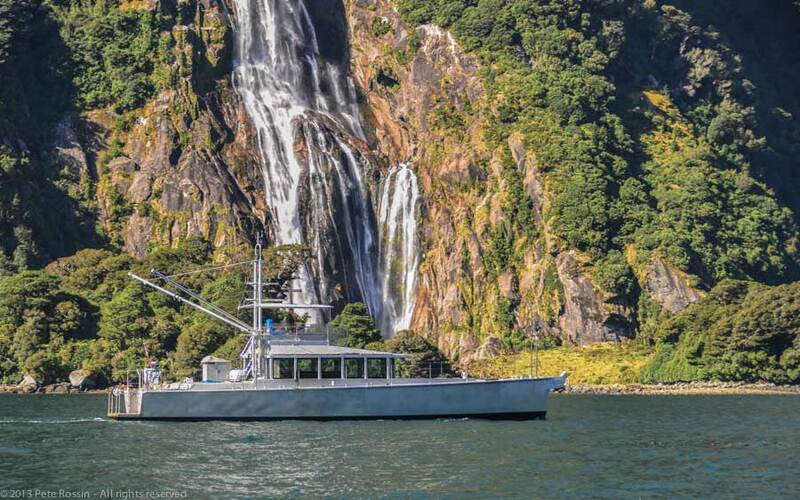 while enjoying calmer weather than her somewhat challenging passage across the Tasman Sea last year. That sums up the first seven FPB 64s. All of them being used as intended, going places, venturing forth comfortably and quickly, giving their owners the tools necessary to make dreams of distant anchorages a reality . This entry was posted on Monday, August 5th, 2013 at 12:04 pm and is filed under Dashew Logs, Favorites, four, FPB 64, FPB Series Notes, Most Popular. Both comments and pings are currently closed. none have become mooring queens. Just a pity all the boats havent run blogs like Iron Lady and Avatar have. Congratulations to all of you living the dream. especially those who chose to share their travels with the rest of us. What happened to Wind Horse? Where is she now?